Grosset & Dunlap, 9780448479279, 32pp. Dee Leone has written several reproducible books for the educational market, covering themes such as science, language arts, and holidays. In addition, many of her stories, poems, plays, and activity puzzles have appeared in children's magazines. Dee taught at the elementary level in several states and was also a gifted program aide. She is married and has two daughters. The author enjoys writing fiction, non-fiction, and silly verse. Her interests include amateur photography, traveling, and scrapbooking. 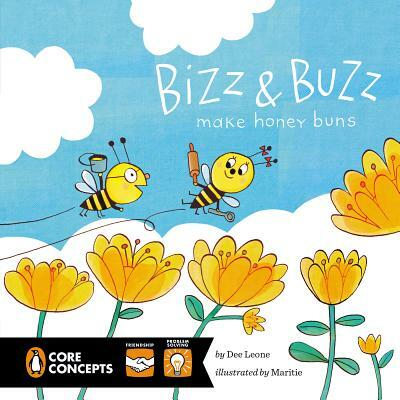 Her cooking expertise, however, only extends about as far as that of her zany little bee characters, Bizz and Buzz.